Take a look at the next tab over ... 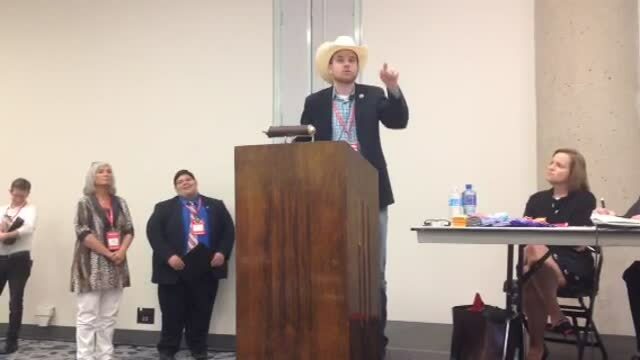 The State Convention and Our State Republican Platform. for these positions. Please join us, no reservations needed, light refreshments. for the March 6, 2018 Primary follows state trend. total turnout with traditional Republicans lagging far behind. to speak at BCRC Club Meeting. Tuesday February 20, Clifton Civic Center. you may leave a message at 254 326 1170. You must make reservations for the meal which will be $12, paid at the door. We had to reschedule because it almost snowed ! and verified. Check out our candidates on our "Candidate"
January 23, BCRC meeting at the Meridian Civic Center. by leaving a message at the HQ 254 326 1170. 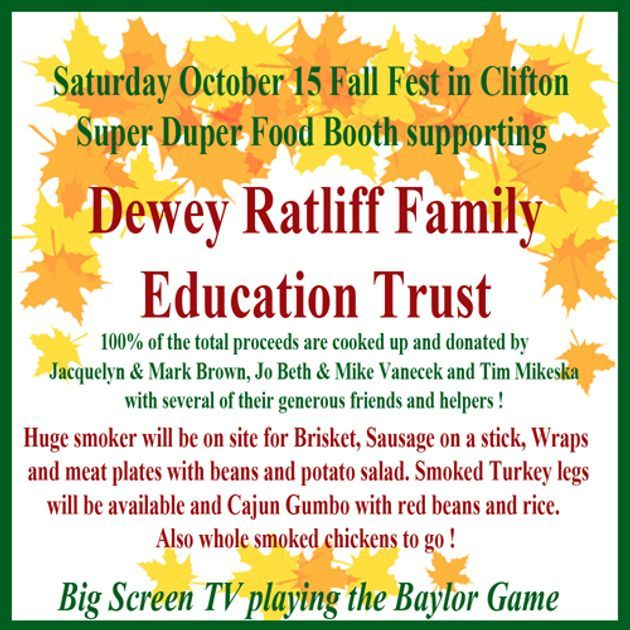 Dinner will be $12 at the door with reservations. Chuck is currently a businessman living in Waco, where he was born and raised. After graduating with a Masters Degree in Business from Baylor University, he entered the Central Intelligence Agency working his way up from case officer to deputy chief of station in Sudan. He and his unit won a presidential citation and Human Intelligence Collector of the Year for their role in the 1994 capture of international terrorist Carlos the Jackal. Carlos the Jackal became famous following the 1975 raid on OPEC headquarters in Vienna, where he held 11 OPEC ministers hostage. Carlos masterminded several fatal bomb attacks, kidnappings and assassinations. Chuck and his unit also won a Meritorious Unit Citation for work in support of the first Gulf War. His final assignment was as Deputy Chief in the CIA’s Counter-Terrorism Center dealing with Islamic Extremist issues. Drawing on his first hand experiences, Chuck speaks with a mastery of Islamic history, cultural norms, geopolitical nuance and current events about America’s relationship with the Islamic world, which he describes as a Clash of Civilizations. or remit $12 per person not attending to cover our cost o the Caterer. all the fixings, cobbler & Ice tea. $12. The Texas Legislature is in session. 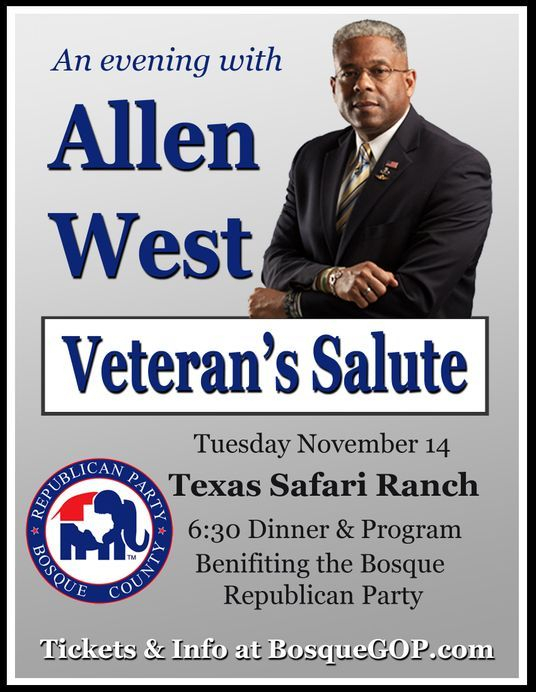 The Bosque Republican Club will kick off the new year with a very important program for the Tuesday March 21 meeting and dinner. Sheriff Anthony Malott and District Attorney Adam Sibley will be discussing "The State of Bosque Safety". Area Police Chiefs have also been invited to be on hand for specific questions. Because this is a topic of concern for everyone, the Club will be offering child care for up to 10 children with complimentary dinner, play time and or homework help for the children. The program is over by 8:00 so as not to interfere with bedtime. For childcare reservations, just respond to this email with number of children and ages. We have a capacity for 10 (we even change diapers) so reserve early. We encourage our young families to take advantage of this and come hear this important program. Dinner is $12 per person, payable at the door, with a catfish and chicken strip dinner catered by Onsite Catering. The Doors open at 6:00 and dinner will be at 6:30 to accommodate our younger families this month. Join us at the newly renovated Clifton Civic Center on Tuesday March 21 and even if it rains, it will be dry inside ! We need your reservations for the Catering count so please register by Friday March 17. Thank you, to all our Patrons and Attendees for making the Deplorable's Ball a success​! you know is interested in running for Public or Party office , please give me a call or email. with Sheriff Anthony Malott, D.A. Adam Sibley and local Police Chiefs. complete with complimentary "Kid's dinner" games and or homework help. Details will be sent out the first of March for reservations. Here we are in the final stretch of the elections. Please promote a Straight Party Ticket and Early Voting to all your friends and neighbors. County Judge Don Pool and County Treasurer Carla Sigler. The Trump campaign is rolling out an exciting new online phone from home tool called Trump Talk. Texas volunteers will be able to call voters in battleground states and help Trump win. Volunteers can sign up at https://l.facebook.com/l/1AQGYRADjAQG_eBTw9kj-jtlSMSnjDZ0YDhFWkLJzwoeGuQ/https%3A%2F%2Ftalk.donaldjtrump.com. Once volunteers create an account, they should get an email to verify their information. After clicking the link, they should also receive another email with their log in info. Volunteers can then log in and get started calling after reviewing a brief tutorial. No reservations needed as this is a Town Hall open to everyone. Now more than ever, you will want a first hand accounting of the business in Washington D.C. I am so deeply saddened by the loss of Dewey as a friend and as a Community leader. As a political Party Chairman, you hope that someone will step forward to run for, and take office with the spirit of selfless dedication and the charge of doing what is best and prudent for the community. As I told Simone Voss with the newspaper, Dewey first visited me in 2013 to discuss filing for office as County Judge. He made it very clear that he was not a politician and had no interest in being a politician. Dewey was a Public Servant in the truest sense of those words. Throughout his professional life, he served as a volunteer fireman and EMS and for 10 years was the Bosque Emergency Management Coordinator. Dewey came to office with a strong background in Business administration, bolstered by an MBA from Note Dame and an extensive history in business management. That is what he brought to his position professionally. But above all else that impressed me and so many others, Dewey came to the table with a spiritual faith and dedication to living his life with committed and strong Christian values. During the latter part of his illness, I would visit Dewey and take him a chocolate milkshake that he favored so much. On one of these visits he told me with a sweet smile that he regretted so deeply not being able to live longer to be with his cherished wife Julie and to be able to teach his children how to live, but he intended to teach them how to die. Dewey gave us a master class in death with grace and God. He never pitied himself, he was grateful for each day and above all he looked forward to meeting his heavenly Host. I am grateful for knowing Dewey as a friend and having had the opportunity to work with someone of his true and sterling character. I know he is at peace now and so well deserved. Daniel Yguerabide was elected as a Delegate to the National Convention ! Let's help fund his trip as he represents Texas in Cleveland ! Last night at the Meridian Civic Center, the two candidates for House Rep. Dist. 58 participated in a Candidate Forum moderated by local Newspaper editor, Brett Voss. We are very grateful to Mr. Voss for lending his time and expertise in forums and debates for the event. Bosque Club President Dan Ahart and Club Secretary Jackie Dukes Strey were instrumental in organizing the event. A special thank you to Matt and Miriam Wallace for bringing in the great sound system and music and the wonderful treat of hearing Miriam sing the National Anthem. We are blessed with so many talented and generous people in our community. Many County Contested Candidates were on hand for an introduction and an opportunity to say hello to the Bosque voters. Thank you to all who were able to attend. 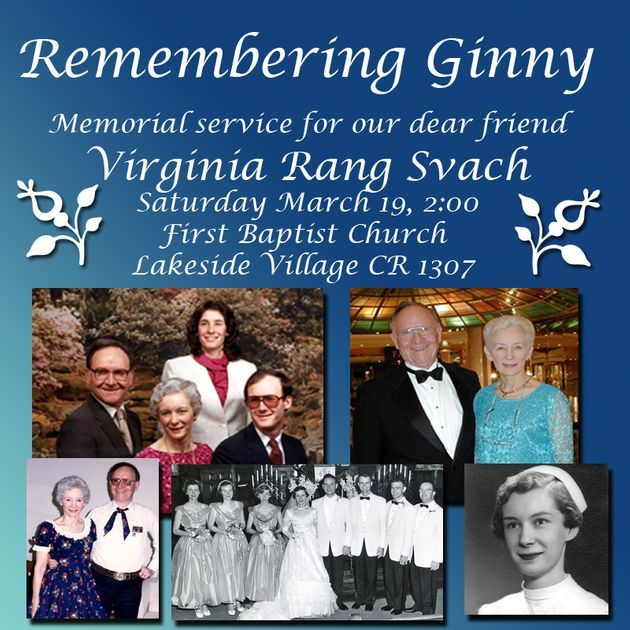 Our dear friend and Bosque Party Secretary, Ginny Svach is currently in Houston at MD Anderson undergoing treatment for Leukemia, you can send her your well wishes and prayers to her facebook page: Virginia Rang Svach. Ginny and her husband Lou have been a cornerstone of our Party operation as well as the sweet side of the office for many years. Our prayers are with her and Lou as she undergoes treatment. 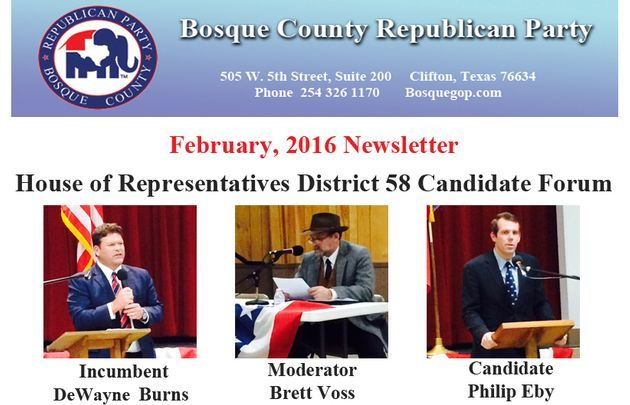 We have moved our previously announced February 9 Bosque Republican Club meeting to the 16th to accommodate the Candidate Forum in Laguna Park on the 9th. You will receive a reservation notice the week before. Dinner will be catered by Weithorns of Valley Mills and arranged by our new Hospitality Chairman, Scott Layne. his "NAY" vote on the recent Omnibus Bill and hear about important upcoming legislation. We have a Representative who actually listens to his constituents so don't miss this visit ! but are encouraged to attend. Ballot placement results will be immediately posted on this website. 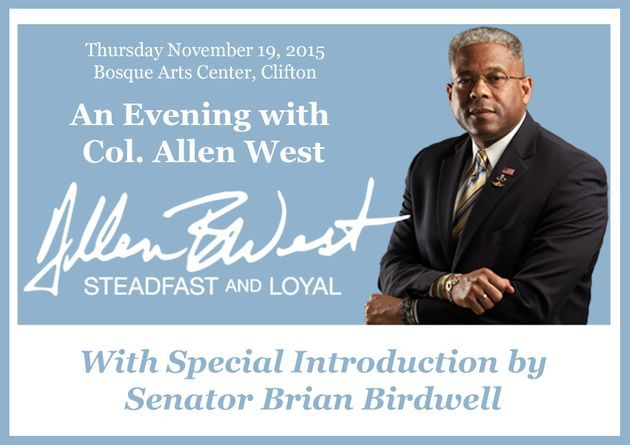 Thank you to all who supported the November Event with Senator Birdwell & Allen West. 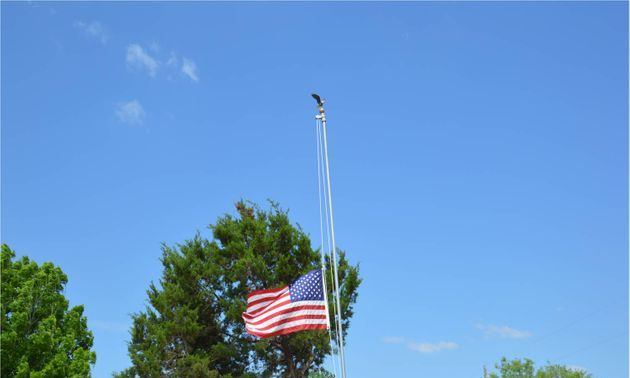 To see our Veterans' photos go to the Photo Gallery on this site. Thank you to State Representative DeWayne Burns for an informative October BCRC meeting program on upcoming Constitutional Amendment elections and the latest on the 84th Legislation regarding Texas water rights. Representative Burns announced his bid for re election to the State House in 2016. Campaigns are heating up as we launch into the 2016 election cycle. 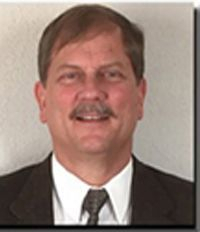 We are very fortunate to have the Chairman of the Republican Party of Texas, Tom Mechler, join us as keynote speaker for our Tuesday September 15 Club meeting and dinner. Details are at the bottom of the page. Chairman Mechler has been traveling the State and attending RNC meetings across the country in preparation for this very important election year. We think his insights will be of special interest to our attendees and encourage you to attend. We are pleased to have the first Bosque County State Representative’s office here in Clifton in decades, at the Chamber of Commerce office. The ribbon cutting was well attended on August 18, followed by a Town Hall in Meridian with Congressman Roger Williams and State Representative DeWayne Burns. We are grateful for the time each of these elected officials spend in our little county visiting City Council, EDC, Farm Bureau and a host of other meetings. Let’s kick this election cycle off with a great meeting on the 15th. Be sure to register to come and bring a friend or two with you ! Tuesday September 15, Clifton Civic Center, 403 W. 3rd St.
Leave a message at 254 326 1170 with number & names of guests or send reply to: BosqueRepublicanClub@gmail.com. Your response by Friday September 11 will be greatly appreciated. 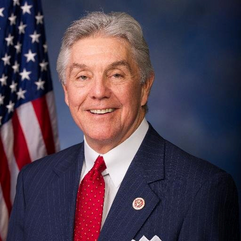 Congressman Roger Williams, Senator Brian Birdwell and State Representative DeWayne Burns will host a Bosque County Town Hall on Tuesday August 18 at the Meridian Civic Center, 309 W. River Road in Meridian at 7:00. No reservations are necessary, the public is invited. 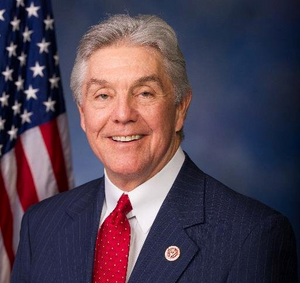 Congressman Roger Williams stated "I look forward to returning to Bosque County to give an update on what has been happening in Washington D.C. and the U.S. House of Representatives". The Congressman was recently awarded a 100% conservative rating by the American Conservative Union and will be discussing his legislation to reform the tax code,preserve our military and protect the sanctity of life. 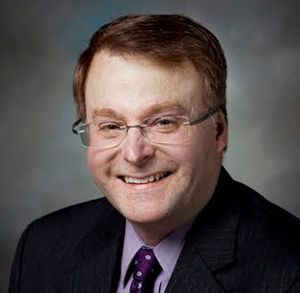 Texas State Senator Brian Birdwell Chaired the Senate sub committee on Border Security and was a member of the Veterans Affairs and Installations Committee. 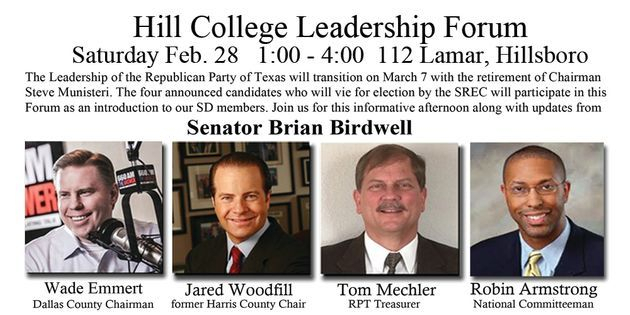 In his three legislative sessions since being elected in 2010, Birdwell has been consistently heralded as a top conservative leader as a result of his proactive efforts and firm stances on the issues of life, limited government, individual liberties, low taxes, and economic policies which promote jobs, growth and opportunity for the citizens he serves. State Representative DeWayne Burns just completed his first legislative session where he sat on the Natural Resources, Homeland Security & Public Safety and Natural Resources/ Special Water Districts Committees. Representative Burns was heralded as one of the top 25 conservatives in the House of Representatives by the watchdog group, Texans for Fiscal Responsibility. Prior to the Town Hall in Meridian on Tuesday August 18, State Representative DeWayne Burns will host a Ribbon Cutting for the first ever House Representaive's office in Bosque County, it will be located in the Clifton Chamber of Commerce building at 115 N. Avenue D. The Open house will be from 4:00 to 6:00 with the Ribbon Cutting at 5:15. Clifton Civic Center. Doors open at 6:30, dinner at 7:00. 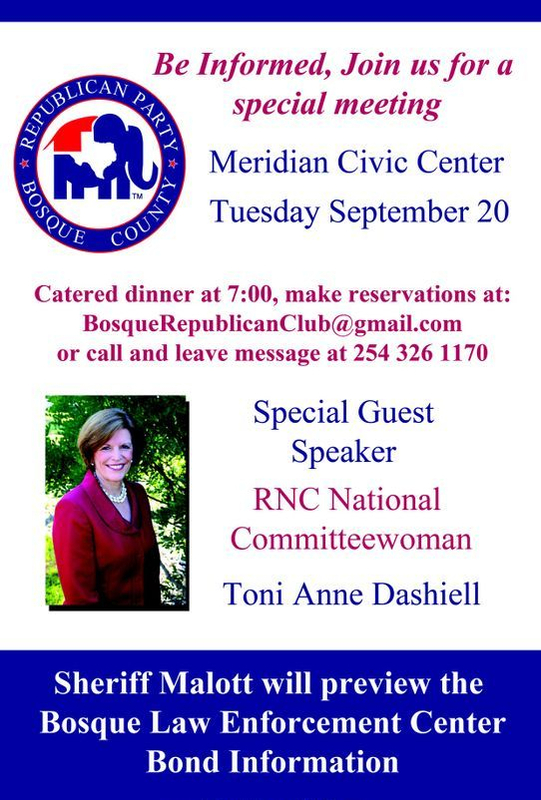 Please make your reservations BosqueRepublicanClub@gmail.com by Friday July 17. Cost of dinner is $12. for a chicken strip and fried catfish meal with all the Fixins ! Mark Brown has arranged an informative program with two compassionate Organizations who serve our Veterans. As we are all aware, our Federal government has all but turned its back on the care and medical attention of the men and women who serve this nation and return home to find little help or comfort in dealing with their post combat needs. I ask you to take a few hours of your time this summer to learn how we can give back to those who have given so much for their country. We will be at the Valley Mills 4th of July Parade and have the Party tent set up in the square, come on by, the candidates are starting to emerge ! and an AUGUST 18 Town Hall with elected officials. Change is hard, especially for those who benefit from keeping things the way they have always been. However, progress can not be made without change and innovation. It is time for both progress and innovation in Bosque County. Drive through any of our small rural towns and see that 1/3 to 1/2 of all the commercial businesses are empty. Look at the drop in school population and realize that our tax base is shrinking. Without change, we continue to spiral down, to the detriment of everyone who lives here or seeks employment here. Do not sit back and let others make decisions that gravely effect the future growth of Bosque County. Support change and innovation. Support the UNIT ROAD SYSTEM with your vote. Have you ever questioned the manner in which a local election was conducted? Many times, questions are asked about proper Secretary of State procedures. Every registered voter has the legal right to observe Early and Election Day voting processes. To do so, you must fill out a “Certificate of Appointment for Poll Watchers” which will be presented to the Election Administrator of either the City, ISD or County. Have a copy of this appointment to present to the election judge where you plan to observe. There are strict rules that apply to this process, so I will be conducting “Poll Watching Classes” over the next 2 weeks as requested. My contacts are on the heading of this letter if you would like instruction on this. The Bosque County ballot initiatives’ Early voting will be at the Courthouse from 8 am to 5 pm. Election day, all 11 polling locations will be open from 7am to 7pm. Check with your City Administrator and ISD Secretaries for times and locations of City, School Board and ISD Bond elections, which are on a separate ballot from the County, with early voting at separate locations. These elections are very important, do not forget to VOTE VOTE VOTE. I have added a new Commentary page to our Bosquegop.com website for the occasional letter or discourse that I believe would be of interest to our readers. The first one is from a presentation that Ricky Richards gave to the March meeting of the Bosque County Republican Club. I hope you will take the time to read this and realize that it is a Mighty Call to Action. Please join us for our Tuesday March 17 dinner meeting at the Clifton Civic Center. The doors will open at 6:30, dinner at 7:00 and program at 7:30. We will be celebrating St Patrick’s Day so come and enjoy a delicious Wiethorns roast beef and scalloped potato dinner. Festive desserts will be served to celebrate the special day. Please make your reservations to: bosquegophq@gmail.com by Friday March 13 so we can coordinate with the caterer. Your timely response will be greatly appreciated. Past Club President Ricky Richards will be speaking about the effect the Obama administration has had on the military and Judge Dewey Ratliff will give us a preview of the Unit Road System Campaign. We are in need of volunteers to step forward and help our small core group with some of the duties and projects that keep this Bosque Republican mojo going. I will have volunteer sheets and explanation of what and who we need to help. Please realize, we did not turn this county red without a great deal of effort. It is time to share the fun. The Bosque County Commissioner's Court has approved the petition to place the optional Unit Road System on the May 9 ballot for the citizens of the County to vote on. 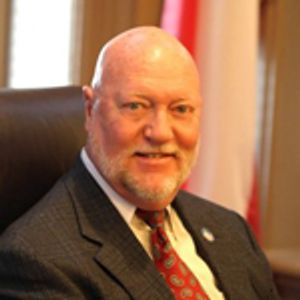 Judge Dewey Ratliff read the approval from the County Clerk and Tax Assessor that the petition drive led by Dan Ahart supplied a large margin of necessary signatures to place this on the ballot. Commissioner Sammy Leach moved to have the petition request placed on the ballot with a second from Commissioner Ronny Liardon. Commissioners Doug Day and Durwood Koonsman voted against letting the voters make the decision by public vote. The deciding vote was cast by Judge Dewey Ratliff to approve the ballot initiative and place it on the May ballot. The Commissioner's Court in this action were not approving or instituting the new system, they were approving the right of the County voters to make the decision. We are very appreciative of this action by Commissioners Leach and Liardon along with Judge Ratliff which gives the citizens of Bosque County a say in our local government. We would like to thank the many people who were instrumental in the petition drive for their time and efforts. Starting in mid March a series of information articles will be published in the local papers. Throughout April, seven publicized Town Halls throughout the County will be held for the purpose of explaining the system and addressing any possible opposition to the system. These Town Halls led by Judge Ratliff will give everyone on both sides of the issue an opportunity to address their concerns and viewpoints, so please plan to attend the one in your community. A schedule will be published in the next few weeks. On March 9 the website Bosqueunitsystem.com will go live with reports and information from state agencies along with counties who have adopted and either kept or reversed their use of the system, with explanations on why or why it did not work. I suggest you use these and other official sites rather than undocumented sources such as facebook postings that are often more emotional than factual. 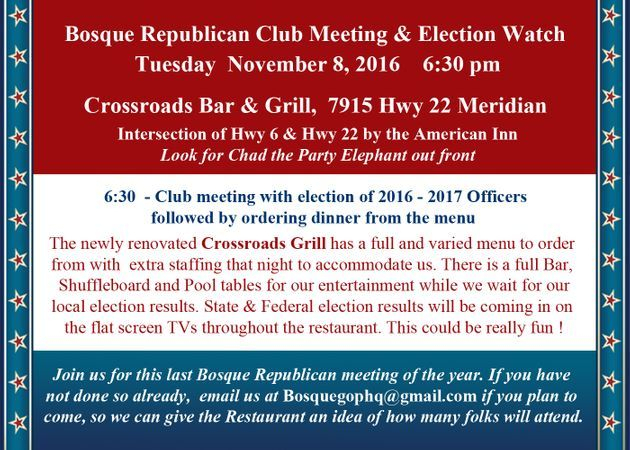 Please note, the Bosque Republican Club will NOT meet in February. The scheduled Club dinner meetings for 2015 will be March, April, May, September, October and November. However there will be a great deal of activity throughout the year with the Party as we work on the UNIT ROAD SYSTEM initiative which will be on the May ballot. 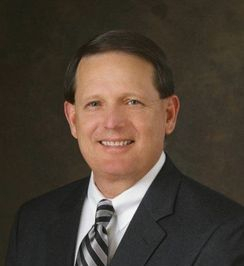 Throughout April there will be at least 6 Town Hall meetings to explain and discuss this move toward a more efficient County Government, lead by Judge Dewey Ratliff. Stay tuned for dates and places. On behalf of the Kopperl Independent School District, Kopperl, Texas, we would like to announce our “Second Annual Valentines for Veterans” event, scheduled for Friday, February 13, 2015, at 12:30 in our new gym. Kopperl I.S.D. is the first total school district in our nation to be an official “Commemorative Partner” for the “50thCommemoration of the Vietnam War” program, which is under the direction of the Department of Defense. We would like to invite as many Veterans of Vietnam and their families as possible to attend, as well as any interested Americans who would like to show honor to our Veterans of Vietnam and their families (including our POW and MIA Veterans and their families). We are extremely honored to have as our guest-speaker Ambassador Sichan Siv, a native of Cambodia, who escaped the killing fields of Cambodia in 1976 by making his first literal jump to begin his journey to freedom on Friday the 13th (an anniversary we are noting this year on another Friday the 13th). Ambassador Siv, now an American citizen, plans a presentation of approximately 40 minutes and a book signing to follow for his book about his life, Golden Bones (available for adults to purchase, paperback for $17.00 and hardback for $27.00). Although there are no Club meetings in December and January, we have many Party activities which we hope you will enjoy and participate in. Join us Monday December 15 from 12:00 to 2:00 for a Republican Party HQ Open House. 505 W. 5th Street in Clifton, second floor of the Citizens Bank Building. Enjoy light lunch snacks and as a special treat the Clifton High School Jazz Band will be presenting a swing band era concert on the first floor. We have started our petition drive for the Unit Road System to be on the May ballot, so come by, have a snack, hear some great music, sign the petition and visit with friends. 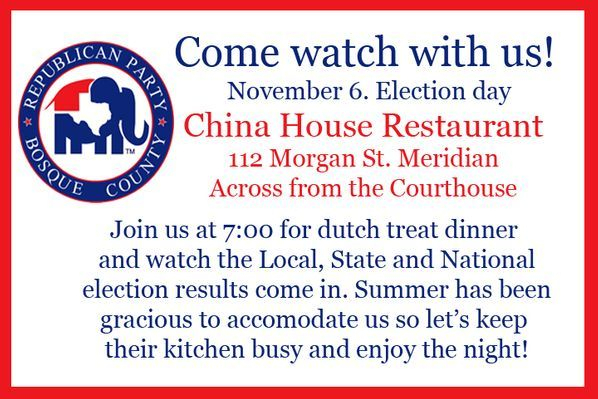 On Friday January 2 at 10:00 the first ever All Republican County slate of elected officials will be sworn in at the County Courthouse in Meridian. 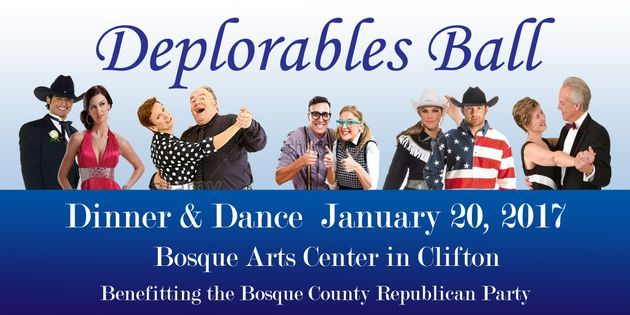 The Bosque Republican Club and Party will host a reception following the ceremonies. Please join us and celebrate this new era in Bosque County administration. On Tuesday January 13 our new District 58 House Representative will be sworn in at the State House in Austin at 12:00 noon. We are planning a caravan to go down and support our State Rep DeWayne Burns who won with a whopping 80% of the vote. Mr. Burns will be serving us for the next 2 years in this position which entails a great deal of sacrifice to his time and family. Let’s show him our support on this special day. 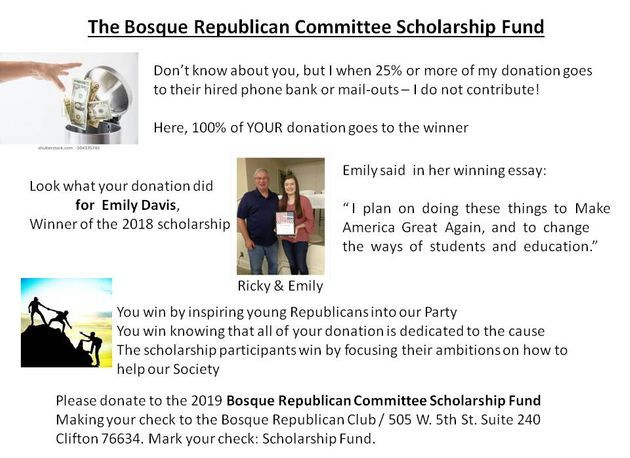 I think it goes without saying, the Bosque Republican Club and Party have been hard at work this year resulting in our first ever total Republican slate in County Office. The campaign activities have been in high gear all year with many volunteers giving their time and resources to the effort. Without the permanent Headquarters this would be a very difficult job. The HQ is a hub of activity, coordination and execution of campaigns and initiatives. We have another full year ahead of us and then this time next year filing will open for the next cycle. Please help us sustain this important office by joining us for our Party Fundraiser at the Bosque Arts Center at 6 pm. It will be an entertaining evening with dinner, great entertainment and fun auction items. Bill and Sue Watson have donated a Creole Dinner with wine for 12 at their beautiful home in Meridian. Rowland Jackson is offering a round of golf for 4 with dinner and drinks at Ridgewood Country Club in Waco. If you would like to donate something for the auction, please contact me. Thank you for all your support this year, your participation has been greatly appreciated. Please contact me with any concerns, questions or if you are ready to volunteer some time with us this year. A federal appeals court on Tuesday reinstated Texas' tough voter ID law for the November election, which the U.S. Justice Department had condemned as the state's latest means of suppressing minority voter turnout. The ruling by the New Orleans-based 5th Circuit Court of Appeals temporarily blocks last week's ruling by U.S. District Judge Nelva Gonzales Ramos in Corpus Christi, who determined the law unconstitutional and similar to a poll tax designed to dissuade minorities from voting. The 5th Circuit did not rule on the merits of the law; instead, it determined it's too late to change the rules for the upcoming election. Early voting starts Oct. 20. It's a Pep Rally for November 4 ! Tuesday September 16 BCRC meeting was very special with Senator Brian Birdwell and Pastor Rafael Cruz who were join onstage with our Bosque County Republican candidates. 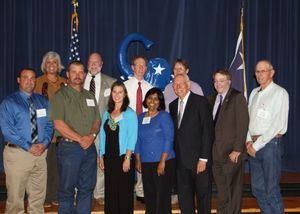 Front row: Jeff Hightower JP1, Ronny Liardon Commissioner 4, Tab Ferguson County Clerk, Juanita Miller District Clerk, Pastor Cruz, Senator Birdwell, Jaimie Zander JP 2,Back row: Janet Jackson, Dewey Ratliff County Judge, Phil Robertson District Judge and Cheryl Neiemier County Treasurer. And of course Chad the Party mascot. 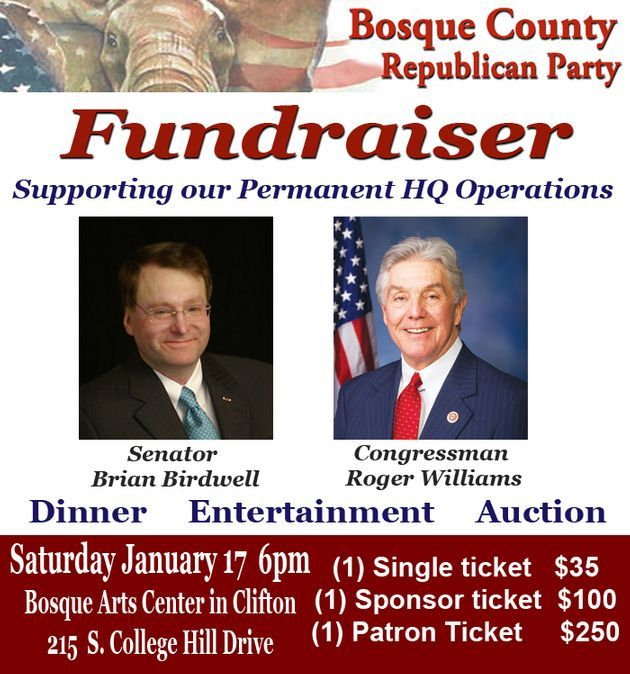 Join the Bosque County Republican Club for an evening with Senator Brian Birdwell and Pastor Rafael Cruz. The event will be held on Tuesday September 16 at the Bosque Arts Center in Clifton. Doors open at 6:30, dinner at 7:00. Reservations for the $12.00 dinner fee may be made with Dan Ahart at 254 644 1412 or bosqueprecinctnine@gmail.com. A portion of the dinner proceeds will go to the Jeff Hightower for JP Campaign. If you would like to attend without dinner, please call for a reservation so we will have seating available. very special THANK YOU goes out to Jack and Nancy Harvard for hosting our celebration for Judge Dewey Ratliff and fundraiser for Commissioner Candidate Ronny Liardon. The event was held at their beautiful Texas Safari Ranch in the Old West Town Saloon. 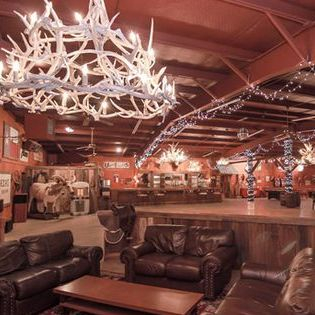 The venue was terrific and is available for anyone to rent for a special occasion or party, see the website at http://www.texassafari.com. I would also like to thank our many volunteers, especially Kathy Dellert who helped organize and host the event. We had asked folks to bring pies to auction for the fundraiser and boy howdy did we get a bumper crop. Thank you to all who brought the pies and designer cupcakes by Linda Liardon and to those generous folks who bought them and then shared them with the nearly 90 guests. We have aA terrific community of activists here in Bosque and I am very proud to be a part of this organization. 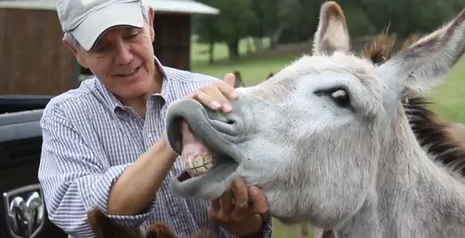 Congressman Williams' 2011 TV campaign known as the "Donkey Whisperer" went viral nationally that summer and was rated as one of the top 5 political campaigns in the country. Since then our District 25 U.S. Congressman has served us well with a strong Conservative voice in Washington. Williams is seeking a second term in office which the Bosque County Republican Party fully endorses and is proud to have him as our candidate. Join us for a Town Hall in lieu of our regular monthly dinner. 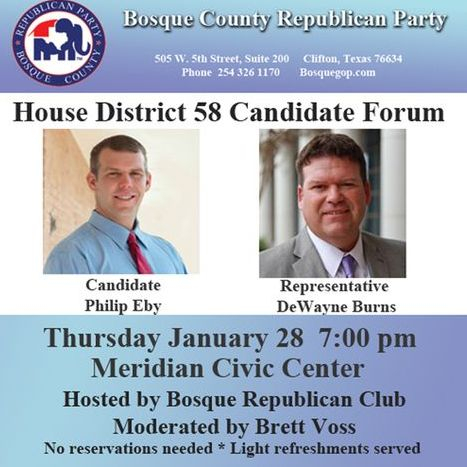 Light refreshments and drinks will be served by the Bosque Republican Club. Come one come all, he is everyone's Congressman ! We are celebrating the nomination and appointment of the first Republican County Judge in Bosque County.... Judge Dewey Ratliff. raise campaign funds for Commissioner 4 candidate Ronny Liardon. This is a covered dish supper and we will supply the fried chicken and iced tea. Rep. Orr has been recognized by the Texas Association of Business with both its Champion and Fighter for Free Enterprise Awards for his pro-business and pro-Texas voting record, by Texas Right to Life with its 2011 Defender of Life Recognition, the Texas Nurse Practitioners with its 2010 Texas Nurse Practitioner Advocate Award, the Heritage Alliance with its Conservative Leader Award, the Texas Association of Local Housing Finance Agencies with its Hero of Affordable Housing Award, the Greater Fort Worth Builders Association and by the Texas Association of Realtors for his support of property rights. Join us on our regular meeting night for a special tribute to our 5 term State Representative before his retirement at the end of this year. Rob Orr has been a friend and advocate for Bosque County for over a decade and it has been our privilege to have him represent us in Austin. Dan has arranged a special steak dinner for the evening at our regular $12. price. Please be diligent in making your reservations by Friday April 11 by emailing Dan Ahart at bosqueprecinctnine@gmail.com or call 254 644 1412. The Bosque Republican County Convention was held on Saturday March 22 at the Courthouse in Meridian. Delegates were elected to attend the State Convention in Ft Worth June 5-7. The following resolutions from the Precinct conventions were adopted and have been sent to the State committee for consideration of adoption to the RPT Platform. Be it resolved by the BCRP of Texas, that the General Land Office respect the ‘hallowed ground of the Alamo’ and what it means to the people of Texas by withdrawing its support for the designation of the Alamo and its associated Franciscan missions as a ‘Work Heritage Site’ and give due diligence to always maintaining control of these historical sites in Texas hands. Be it resolved that the BCRP of Texas, calls upon the U.S. Congress to oppose and vote against any and all ‘Trade Promotion Authority’ measures and to fulfill its obligation to preserve our national independence and our American jobs and prosperity by opposing and voting against the TPP and the TTIP, and any future pacts of the ilk. BE IT RESOLVED by the Bosque County Republican Party of Texas that the next legislature of the State of Texas debate on the merits and dangers of a called Article V Constitutional Convention, State Nullification and any other rightful remedies to be exercised by the legislature for any and all unconstitutional usurpations by the federal government. 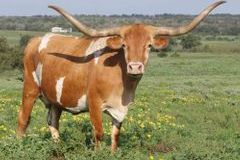 BE IT RESOLVED, that the Bosque County Republican Party of Texas reaffirms the right of the individual United States citizens to keep and bear arms, as guaranteed by the 2nd Amendment to the United States Constitution, and opposes any and all legislation which would restrict that right, including international treaties. BE IT FURTHER RESOLVED, that all federal acts, laws, executive orders, administrative orders , court orders, rules, and regulations, whether past, present or future, which infringe on the people’s right to keep and bear arms as guaranteed by the Second Amendment to the United States Constitution and by Article 1, Section 23 of the Texas Constitution, shall be invalid in Texas, shall not be recognized by Texas, shall be specifically rejected by Texas, and shall be null and void and of no effect in Texas. 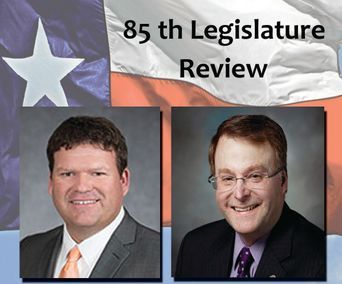 BE IT RESOLVED by the Bosque County Republican Party of Texas that restitution should be instituted so that the victims of crime are compensated by those who perpetrate crimes against them for injuries and losses to their person and private property. BE IT RESOLVED, that the Bosque County Republican Party of Texas maintains its Right-To-Work Law. 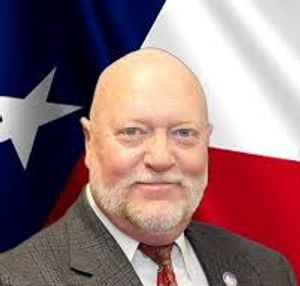 BE IT RESOLVED, that the Bosque County Republican Party of Texas opposes a state income tax and the imposition of any new kinds of taxes or additional tax increases on the State or local levels. If you are not already registered to vote, please take care of that immediately. The deadline to register to vote in the May 27 Primary Election Runoff is Monday, April 28! You may vote in the runoff unless you voted in the Democratic Primary. Contact your County Elections office for assistance. Remember, you are not registered to vote until you have completed an application and it is received by your County Voter Registrar. Following are important election dates. Congratulations to Dewey Ratliff, appointed as the first Republican Bosque County Judge. Dewey won the Republican Primary with no Democrat on the November ballot. With the resignation of Judge Cole Word on Friday March 7th, it fell to the Commissioner's Court to vote and appoint an interim Judge to serve the remainder of Judge Word's term. The Court met in regular session on Monday March 10 and made the appointment. District Judge Phil Robertson had the honor of swearing in the new Judge. Come to remember and honor those that made today possible for you and me. 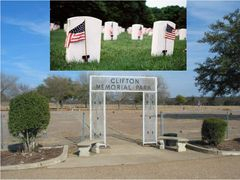 The Clifton Community Memorial Day service will be held at the Clifton Cemetery on the south side of town at 10:00AM, Monday May 28th. 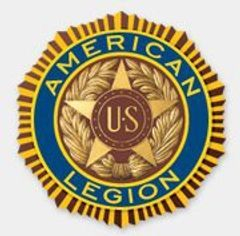 This year it will be hosted by the Clifton American Legion Post. Our State wide Republican Party Convention will be held during the week of June 11 in San Antonio. Don't miss this chance. Follow our series in the next tab over and use the "Contact Us" tab to let us hear from you. Early voting begins on Monday, April 23, and ends Tuesday, May 1, 2018. Early voting location is the Bosque County Courthouse located at 110 S. Main, Meridian, Texas. May 1 7:00 a.m.-7:00 p.m.
Election Day voting will be held at the Clifton Civic Center from 7:00 a.m.-7:00 p.m. on Saturday, May 5. This is historically the lowest voter turn out of all elections. and the value you receive from your School taxes. Tune in, learn the candidate backgrounds and what they can contribute. Terry Townley, John Carpenter and Weldon Hamilton will be at the Walnut Springs Community Center for a Candidate Meet and Greet on Monday February 19 at 6:00 pm. 4159 3rd St. walnut Springs. Come out and meet the candidates who are running to replace retiring Comm. Durwood Koonsman. Early voting for the March 6 Primary begins on Feb. 20 and will now be available at the Clifton Civic Center as well as the Meridian Courthouse. Check out our Candidates page for polling hours at both locations.